Palestinian scholar of Sephardic-Ashkenazic parentage; born at Amsterdam 1810; died at Jerusalem Aug. 6, 1890. His teacher was R. Abraham Susan. In 1830 he emigrated to Safed, Palestine, where he married, afterward settling in Jerusalem. There he studied in the Sephardic yeshibah. 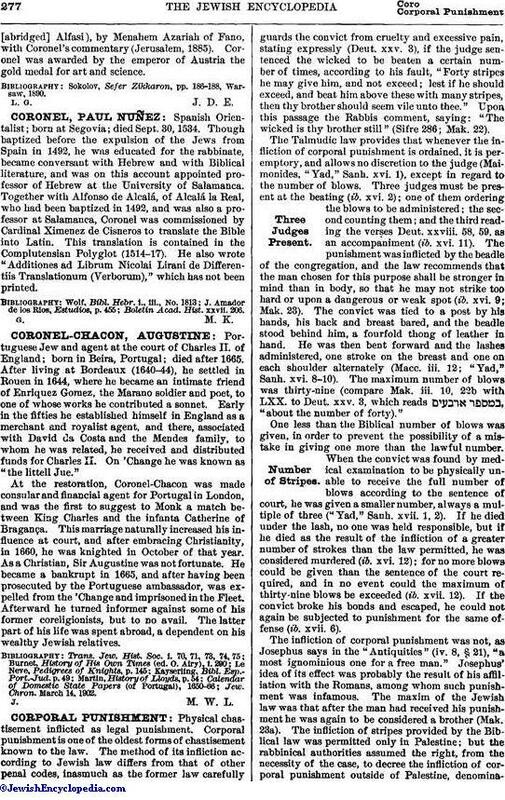 He became especially interested in rabbinical manuscripts, and acquired many rare copies, some of which he sold to European libraries, while others he published with his own annotations. The latter are: (1) "Bet Natan" (The House of Nathan), containing a varied version of Berakot, MSS. of Cairo, and decisions by Isaiah di Trani, the elder, with an introduction by Coronel (Vienna, 1854). (2) "Ḥamishshah Ḳonṭerisim" (Five Pamphlets), containing a varied version of Kallah, decisions in jurisprudence by R. Solomon Tazerat, and a letter of excommunication by David, the exilarch, etc. (Vienna, 1864). (3) "Seder R. Amram Gaon" (846 C.E. ), containing a liturgy of the geonic period, of decided literary value (Warsaw, 1865). (4) "Teshubot ha-Geonim" (Responsa of Geonim), rules for the slaughter and examination of animals, by R. Jonah (Vienna, 1871). 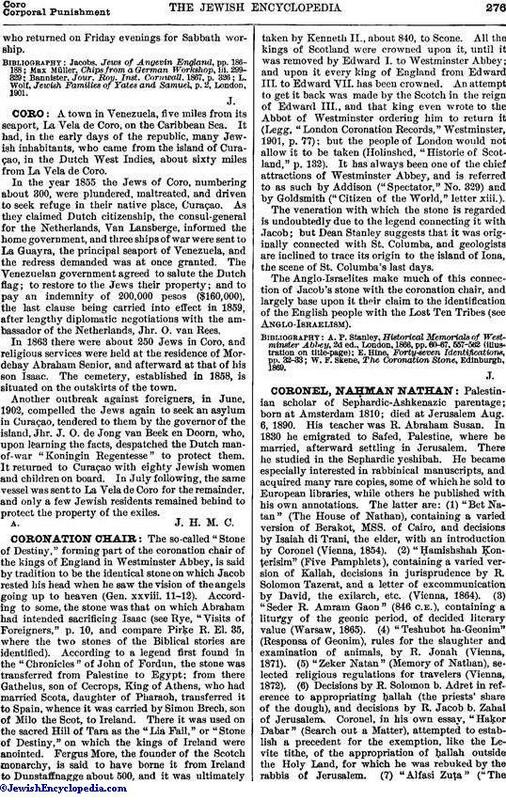 (5) "Zeker Natan" (Memory of Nathan), selected religious regulations for travelers (Vienna, 1872). (6) Decisions by R. Solomon b. Adret in reference to appropriating ḥallah (the priests' share of the dough), and decisions by R. Jacob b. Zahal of Jerusalem. Coronel, in his own essay, "Haḳor Dabar" (Search out a Matter), attempted to establish a precedent for the exemption, like the Levite tithe, of the appropriation of ḥallah outside the Holy Land, for which he was rebuked by the rabbis of Jerusalem. (7) "Alfasi Zuṭa" ("The[abridged] Alfasi), by Menahem Azariah of Fano, with Coronel's commentary (Jerusalem, 1885). Coronel was awarded by the emperor of Austria the gold medal for art and science. Sokolov, Sefer Zikkaron, pp. 186-188, Warsaw, 1890.